DSC03048, a photo by CAKE Amsterdam - Cakes by ZOBOT on Flickr. 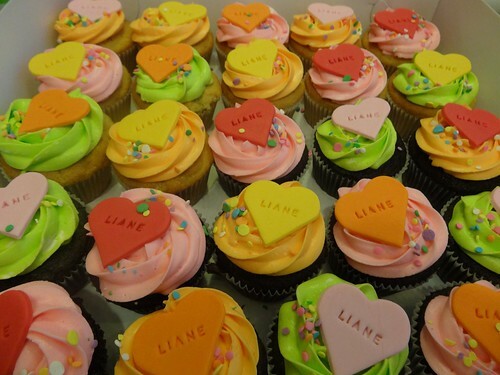 Batch of colorful cupcakes sent all the way from NYC... well ordered from NYC... to someone in Amsterdam! FLAVORS : Vanilla and Chocolate cupcakes with colored cream cheese frosting and fun decorations.